This book uses a trio of contemporary psychological paradigms (family systems, subject/object differentiation and depression, and personality theory) to discuss six works of fiction. The authors of the texts being analyzed are John Fowles, D.H. Lawrence, George Orwell, Robert Pirsig, Henry Roth, and John Steinbeck. 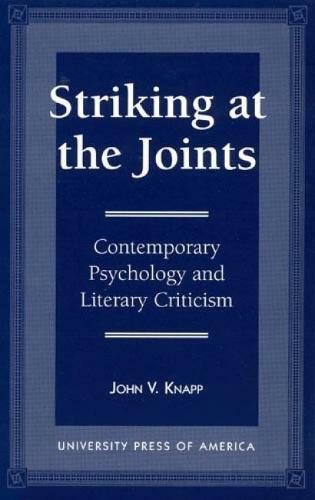 The author employs these three psychological approaches in order to gain further insight into the psychological literary criticisms of these major works. Students and scholars of both psychology and literature will find this a useful work. Contents: Psychology, Literary Theory, and Character: An Introduction; Literature and Psychology: Synergistic Transaction or Solitary Confinement? ; Family Systems in Literature: D.H. Lawrence's Sons and Lovers and Henry Roth's Call it Sleep; Scientific Personality in American Literature; Depression, Life-Span Development and Fiction: Orwell's Keep the Aspidistra Flying and John Fowles's The Mangus; Teaching Literature and Psychology in an Interdisciplinary Context; Conclusion; References.